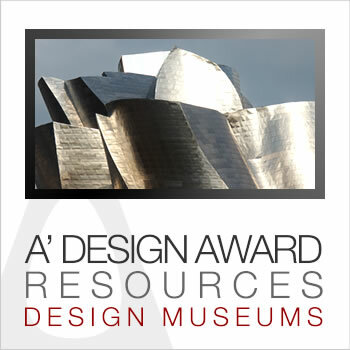 List of Design Museums compiled by A' Design Competition and Award for inspiration and exploration. The Architecture and Design Museum (A + D), continues to be the only museum in Los Angeles, California where continuous exhibits of architecture and design are on view. It was created to celebrate and promote an awareness of architecture and design in everyday life through exhibits, educational programs, and public outreach to the design community. Address: "museum Po Box 75082 The 1,070Th Ab Amsterdam"
This elegant and stylish building, designed by architects Berman Guedes Stretton, has something for everybody, whether they are local to the area, or coming to Cheltenham for the first time. The Bauhaus Archive/Museum of Design in Berlin is devoted to the research and presentation of the history and influence of the Bauhaus. It is the most complete existing collection focused on the history of the school and all aspects of its work and is accessible to all. The Bauhaus Archive is a Museum of Design in Berlin is devoted to the research and presentation of the history and influence of the Bauhaus (1919-1933), the most important school of architecture, design and art in the 20th century, collects art pieces, items, documents and literature which relate to the Bauhaus School. The Bauhaus Archive, one of the most influential design museum, situated in Berlin of Germany. The museum was planned by Walter Grophius. Though it was founded in Darmstadt in 1960, the foundation stone was laid in 1976 due to political prevention. However, the buiding was ready by 1979 and the collection of arts was being increased rapidly. Now it is a well-known art museum in europe. Bauhaus Museum Weimar is situated in Germany. It was established by Walter Gropius in 1919. It displays about 250 works by teachers and students of the Bauhaus school. This is a museum dedicated to the architectural style of Bauhaus. A new Bauhaus Museum is scheduled to open in 2015. Smithsonian's Cooper-Hewitt, National Design Museum is the only museum in the nation devoted exclusively to historic and contemporary design. The Museum presents compelling perspectives on the impact of design on daily life through active educational and curatorial programming. Danish Design Centre is a Design Centre in Copenhagen. In the words of the New York Times, the centre was -conceived as a clearinghouse for the design industry, as well as a museum for the public-. The centre also puts on a number of special exhibitions each year. The Danish Museum of Art & Design, is a museum in Copenhagen for Danish and international design and crafts. It features works of famous Danish designers like Arne Jacobsen, Jacob Jensen and Kaare Klint. The exhibition also features a variety of Chinese and German porcelain. The Danish Museum of Art & Design is one of Scandinavia's central exhibition forums for Danish and international industrial design, decorative and applied arts. The museum's collections, library and archives constitute a central resource centre for the study of design and its history in Denmark. The Denver Art Museum — DAM is an art museum located in the Civic Center of Denver, Colorado. The museum is one of the largest art museums between the West Coast and Chicago. It is known for its collection of American Indian art, and its other collections of more than 68,000 diverse works from across the centuries and world. The Design Exchange (DX) is a non-profit design museum located in the historic Toronto Stock Exchange building. The DX hosts exhibitions, competitions and educational programming, also contains the permanent collection of Canadian Industrial Design and is home to the Clairtone archives, Fred Moffat archives and Thomas Lamb archives. The Design Exchange is situated in Toronto, Canada. It was established in 1994. Every year more than 225,000 people visit this place. The DX also contains the permanent collection of Canadian Industrial Design and is home to the Clairtone archives, Fred Moffat archives and Thomas Lamb archives. Irt has a huge collection of art pieces. Design Museum is a museum by the River Thames near Tower Bridge in central London, England. The museum covers product, industrial, graphic, fashion and architectural design. It was founded in 1989 and claims to be the first museum of modern design. In 2007, the museum was listed by The Times newspaper as number two in their top five museums of the year. Design Museum is a museum in London, England. The museum covers product, industrial, graphic, fashion and architectural design. It was founded in 1989 and claims to be the first museum of modern design. The Design Museum’s pioneering programme of exhibitions, educational projects and its collection have made it the definitive voice for contemporary design. Design Museum is a specialist museum is located in Helsinki, Finland. Selects and maintains a 75 000 object design collection. The museum is responsible for research and documentation in its field, and for holding exhibitions on design history and contemporary themes. The museum also organizes international touring exhibitions and events on Finnish art and design. Design Museum is situated in London, United Kingdom. It was established by Terence Conran in 1989. Deyan Sudjic is the present director of the museum. The museum exhibits their creative art and design every year. It has a huge collection of art pieces. This museum run by admissions costs, trading, membership, donations and sponsors. The Design museum Gent is a cultural institution of the City of Gent. The Design museum Gent is unique in Belgium. The accent in the collections and exhibitions lies on 20th century and actual design. Address: "pinhas Eilon St. 8 Holon, 5845400"
Design Museum Holon is a vital and dynamic resource for designers, students, creative industries and the general public. Each year the Museum presents an exciting and varied programme of exhibitions and events each dedicated to helping visitors gain a deeper understanding of design and the role it plays in our lives. Design Museum Holon was established in 2010. It is located in Holon, Israel. It is the first museum is Israel dedicated to design. The building of the museum was planned and designed by Israeli architect and industrial designer Ron Arad in cooperation with Bruno Asa. This museum joins the Holon Institute of Technology, Mediatheque and the National Israeli Cartoon Museum, all founded in Holon. Design Museum, Helnesky is situated in Helnesky, Finland. It is devoted to the exhibition of both Finnish and foreign design, including industrial design, fashion, and graphic design. The museum includes a permanent exhibition devoted to the history of Finnish design from 1870 to the present day, as well as space for changing exhibitions. Latest web exhibition is about 1950–60s design – an iconic golden era of Finnish Design. The Design Museum in London dedicated to the whole range of first-class contemporary design, from interior design to graphics and architecture to industrial design. Design Museum's centenary major highlights of the summer is a large collection of the exhibition Design Museum 140 - Others stories that examine what kind of stories have been told about Finnish design over the years, and the interest has not been excluded from the official narrative. Formal history of representing the same proportion of such publication with a rich picture book of ideas, shape, material - the Design Museum's collections. Address: "korkeavuorenkatu 23 00130 Helsinki, Finland "
Designmuseo is a specialist museum in Finland that selects and maintains a versatile design collection, around 75.000 objects. The museum is responsible for research and documentation in its field, and for holding exhibitions on design history and contemporary themes. Die Neue Sammlung is one of the leading design museums in the world, with the largest collection of industrial and product design. This state-run museum has exhibition spaces in Munich, Nuremberg and Weiden in der Oberpfalz. Die Neue Sammlung is Europe's largest museum of modern everyday objects of exemplary design. With about 80,000 objects from the fields of industrial and product design, graphic design and the modern applied arts, Die Neue Sammlung is one of the leading design museums in the world, with the largest collection of industrial and product design. This state-run museum has exhibition spaces in Munich, Nuremberg and Weiden in der Oberpfalz. Die Neue Sammlung is one of the leading design museums in the world, with the largest collection of industrial and product design. It was established around 100 years ago inGewrmany. This museum contains lot of design with nature related idea. This state museum is one of the leading museums dealing with this subject for the 20th and 21st centuries. In a city compact with culture, history and eclectic architecture, Prague is always worth a visit, as you can find inspiration just walking down the street. Dox is located very close to the Prague Airport and consists of a design shop as well as a bookshop and cafe. To get a better look at the museum and see if it’s a worthwhile venture, check out the virtual tour on the website. Estonian Museum of Applied Art and Design (ETDM) is located in the old town of Tallinn in a 17th century storehouse. Today it consists of examples of contemporary Estonian applied art as well as of design prototypes and products. The collection, with 15 000 exhibits, includes works of textile art, ceramics, porcelain, leather, glass, jewellery, metalwork, furniture and product design. Estonian Museum of Applied Art and Design (ETDM) is located in the old town of Tallinn in a 17th century storehouse. The museum’s collection was initiated in 1919 as part of the collections of the Estonian Art Museum. Today it consists of examples of contemporary Estonian applied art as well as of design prototypes and products. The collection, with 15 000 exhibits, includes works of textile art, ceramics, porcelain, leather, glass, jewellery, metalwork, furniture and product design. There is also a rare collection of photographs, negatives and slides; a small specialist library and an archival collection. The collections of Estonian Museum of Applied Art and Design offer the largest and most comprehensive overview of Estonian applied art and design. Address: "estonian Museum Of Applied Art And Design 17 Lai Street 10133 Tallinn, Estonia "
Gaudí Centre is a design museum situated in Spain. It is dedicated to the architect Antoni Gaudí i Cornet. The museum was designed by architects Joan Sibina, Toshiake Tange and Gabriel Bosques, and was opened in May 2007. The museum contains different objects from Antoni Gaudí, as well as multimedia about his designs. The building is located on the market square in Reus. Gaudi House Museum is situated in Spain. It was opened as a museum and nowadays houses a collection of furniture and objects designed by the architect. The model property was built between 1903 and 1905. In 1992 the house was donated to the Construction Board of La Sagrada Família Foundation. It’s rare you’ll find a museum devoted completely to graphic design! This is the first of its kind and promotes itself as “a platform for top talent” celebrating over 100 years in graphic design. The Gregg Museum of Art & Design is a collecting museum at North Carolina State University in Raleigh, NC. It collects, interprets and exhibits exemplary hand and machine-made objects to foster learning and understanding of the cultures of North Carolina and the world. The collection includes, but is not limited to, textiles, ceramics, outsider/folk art, photography, architectural drawings & modern furniture. he Horta Museum is located in the private house and studio of Victor Horta (1861-1947). Built between 1898 and 1901 at 23-25, rue Américaine in Saint-Gilles, Brussels, the two buildings are typical of Art Nouveau at its height. The interior decoration has largely been retained, the mosaics, stained glass, and wall decorations forming a harmonious and elegant whole, down to the last detail. The Indianapolis Museum of Art (IMA) is an encyclopedic art museum located in Indianapolis, Indiana, United States. The permanent collection comprises over 54,000 works. Significant areas of the collection include: Neo-Impressionist paintings; Japanese paintings of the Edo period; Chinese ceramics and bronzes, sculptures, prints, textiles and fashion arts as well as a recent focus on modern design. The International Design Center NAGOYA and Design Museum (IdcN) is a museum and exhibition hall located in Sakae, Nagoya, central Japan. Exhibited are leading designers and artists of conceptualisation, form and function. The pieces range from the Art Deco to the present. Works by Isamu Noguchi and Arne Jacobsen are included. International Design Centre Nagoya was established in 1992. It is located in downtown area of Sakae. Exhibited are leading designers and artists of conceptualisation, form and function. The pieces range from the Art Deco to the present. Works by Isamu Noguchi and Arne Jacobsen are included, as well as product design icons such as the Mini Cooper. The Klingspor-Museum is situated in Offenbach, Germany. It has a collection of modern book production, typography and type. Paul Ritter donated his collection of Frans Masereel to the museum. It has a library which is open for visitors and holds several exhibitions each year. "The Grassi, an imposing complex of buildings in the style of Art Deco, hosts three major collections of national and international importance: the Museum of Applied Art, the Museum of Ethnology and the Museum of Musical Instruments. The three very different museums lure since its reopening with each new permanent exhibitions, varied and interesting special events"
The Museum of Applied Arts is in Leipzig, Germany. It is the second oldest museum of decorative arts in the country. The museum owns around 90,000 items, featuring decorative art from all eras since antiquity. The collection is particularly strong on exhibits from the 1920s and '30s. The items include ceramics, textiles, glassware, metalwork, sculpture, furniture and coinage. Leipzig Museum of Applied Arts was founded in 1874. It has a great collection of 90,000 items of decorative art. The items include ceramics, textiles, glassware, metalwork, sculpture, furniture and coinage. It has lost numerous exhibits during World War 2. Today it is part of the Grassi Museum. Martin-Gropius-Bau, originally a museum of applied arts and a listed historical monument since 1966, is a well-known Berlin exhibition. Since its meticulous restoration in the 1970s the Martin-Gropius-Bau has become one of the most famous and most beautiful exhibition halls in Germany. Many international exhibitions have since found a fitting venue there. The Montreal Museum of Fine Arts is a major art museum in Montreal, Quebec, Canada. It is Montreal's largest museum and is amongst the most prominent in Canada. Every year, close to 770,000 people visit its unique encyclopedic collection and its original temporary exhibitions, which combine artistic disciplines (fine arts, music, film, fashion, design). Deposited with the City of Lausanne by the Jacques-Edouard Berger Foundation, the collections of ancient Egyptian and Asian art amassed during his lifetime by Jacques-Edouard Berger, art historian, lecturer, organiser and accompanier of cultural trips, are presented at the mudac by means of exhibitions on a rotational basis. One gallery is dedicated to ancient Egyptian art, while two other rooms present objects from Asia, for the most part Chinese but also Indian, Tibetan and Japanese. Address: "pl. Cathédrale 6 Ch-1005 Lausanne"
Mexican Museum of Design, the first specialized museum of Design, with a coffee-shop, design object store and the largest design bookstore in Mexico, 6 room unique boutique hotel and more than 3000 square feet of exhibition. The Museo del Objeto del Objeto was opened in 2010. It is based on a collection of commercial packaging, advertising, graphic arts, common devices and many other objects dating back to 1810 collected by Bruno Newman over more than forty years. Lourdes Garduño is its present director. The Museu de les Arts Decoratives is a museum located in the Palau Reial de Pedralbes in Barcelona. Created in 1932, this historic museum contains a rich and diverse collection of European decorative arts, from the Middle Ages to the Industrial Revolution. Museum Boijmans Van Beuningen is one of the oldest museums in the Netherlands. In the year 1849 the lawyer Boijmans his art collection to the city of Rotterdam. With the acquisition of Van Beuningen collection in 1958, the name of the museum expanded. The museum has a unique collection of paintings, sculptures and utensils. The collection of prints and drawings is among the best in the world. Throughout the year the museum also organizes spectacular exhibitions on various subjects. The Museum für Angewandte Kunst (MAKK) is a decorative arts museum in Cologne, Germany. The museum has a collection over 100,000 items of European applied art from the 10th century to the present. The collections include jewellery, porcelain, furniture, weaponry and architectural exhibits. The Museum of Applied Arts or just MAK, is located in Vienna, Austria. It is home to an unparalleled collection of applied arts, design, architecture, and contemporary art which has developed in the course of almost 150 years. The MAK can boast outstanding holdings in many fields, and today it serves as a center of artistic, art-theoretical and architectonic competence. "The MAKK is the second oldest museum in the city of Cologne. It was founded in 1888 under the name of -Arts and Crafts Museum- by civic initiative. The extensive collections are based on an extraordinary patronage. The historic core component includes the collections of scholars and collectors Ferdinand Franz Wallraf (1748-1824) and Matthias Joseph de Noël (1782-1849), he was in rapid succession enhanced by high-quality and extensive foundations mainly from the citizens of Cologne. So dedicated collectors and donors have influenced the living history and the special character of the museum from its beginnings to today." Museum für Angewandte Kunst (Cologne) was founded in 1900. It is a decorative arts museum situated in Cologne, Germany. The museum has a large collection of over 100,000 items. The collections include jewellery, porcelain, furniture, weaponry and architectural exhibits. The Museum of Applied Art Frankfurt or just MAK, a short version of its German name Museum für Angewandte Kunst Frankfurt is located in Frankfurt am Main, Germany, and exhibits more than 30,000 objects representing European and Asian decorative arts. The new building of the museum was designed by the American architect Richard Meier in the garden of Villa Metzler. The collection of furniture, glassware, and porcelain has expanded and includes now also product design and information design. Museum für Angewandte Kunst Frankfurt is located in Frankfurt am Main, Germany. It exhibits more than 30,000 objects representing European and Asian decorative arts. The collection of furniture, glassware, and porcelain has expanded and includes now also product design and information design. In China, Japan, South Korea and Taiwan produced architectural and urban projects, social awareness, environmental strategies and artistic practices in a novel way link together. The reflection of local traditions and conditions, but also a critical awareness of global media technologies have meant that the architecture seeks less to iconic objects and spectacular forms, but rather to a structural realignment of the company examined in their spatial dimensions. Museum für angewandte Kunst Wien is situated in Vienna, Austria. It is a decorative arts museum. The curator of its design collection is Thomas Geisler. Besides it has a collection of textiles and carpets. Permanent exhibition of Josef Hoffmann is running since 2009. The Museum of Applied Art Frankfurt or just MAK, is located in Frankfurt am Main, Germany, and exhibits more than 30,000 objects representing European and Asian decorative arts. The collection of furniture, glassware, and porcelain has expanded and includes now also product design and information design. Museum of Applied Arts was founded on 6 November in 1950. years and belongs to the category of art museums specialized type. The main activity of the Museum is to systematically collects, protects, preserves, studies, exhibits and publishes items of applied art. In addition to part of the national applied art, the museum collected heterogeneous material from other European and non-European countries, which is across the cultural and economic ties penetrated into our country. The Museum of Applied Art is an art museum in Belgrade, Serbia. It belongs to the category of specialized museums and contains over 37,000 works of applied art, which reflect the development of applied art over a 2,400 year span. The oldest artifacts of the museum are Ancient Greek coins from the 4th century BC. Museum of Applied Arts (Belgrade) was established in 6 November 1950. It is located in Belgrade, Serbia. Ivanka Zorić is the director of this museum. The museum contains over 37,000 works of applied art. It has a rich collection of 37,000 items. The oldest artifacts of the museum are Ancient Greek coins from the 4th century BC. The museum houses a collection of metalwork, furniture, textiles, and glass. It also has a library. There are two other locations: the Hopp Ferenc Museum of Eastern Asiatic Arts and the Nagytétény Castle Museum. The museum is located near the southern end of the Grand Boulevard in the neighborhood Ferencváros and it can be accessed by metro line 3. The Museum of Applied Arts is a museum in Budapest, Hungary. It is the third oldest applied arts museum in the world.This museum houses a collection of metalwork, furniture, textiles, and glass. It also has a library. It has a green roof and the interior is designed using Hindu, Mogul, and Islamic designs. Museum of Applied Arts (Budapest), the third oldest applied arts museum in the world, is situated in Budapest of Hungary. The museum houses a collection of metalwork, furniture, textiles, and glass. It also has a library. Address: "2 Columbus Circle Manhattan, New York City"
The Museum of Contemporary Art and Design, founded in 1994,is located in San Jose, Costa Rica, it specialising in contemporary Central American art and design, but also representing international work in the field. The museum holds competitions and hosts exhibitions in fields such as video creation, digital art, and emerging artists. In the fall of 2010, MCD launched the first of a series of pop-up museums—exhibitions, educational programs, and retail store—in temporary locations throughout San Francisco. The Prague Museum of Decorative Arts is housed in a Neo-Renaissance edifice. The Museum’s rich collections include decorative and applied arts and design work ranging from Late Antiquity to the present day, with focus on European objects, particularly arts and crafts created in the Bohemian Lands. MODA is the only museum in the southeast devoted exclusively to the study and celebration of all things design. MODA examines how design affects our daily lives through engaging exhibitions, K-12 educational outreach and exciting adult programming. The Museum of Design Atlanta (MODA) is a design museum located in Atlanta, Georgia, USA. MODA is the only museum in the Southeast devoted exclusively to the study and celebration of all things design, for example, with exhibitions that showcase design achievements in the fields of architecture, electronic media, fashion, furniture, graphic design, industrial design, and interior design. "The Museum of Design, Zürich (German: Museum für Gestaltung Zürich) is a museum for industrial design, visual communication, architecture, and craft in Zurich, Switzerland. The museum is part of the Department of Cultural Analysis of the Zurich University of the Arts (ZHdK).The museum's four extensive collections (Poster, Graphics, Design and Applied Art) are of international importance. The Museum of Design is located in Zürich's Kreis 5, close to Zürich Hauptbahnhof. Parts of its collections are housed opposite the museum's main building on Limmatstrasse (the Plakatraum, or Poster Collection), and in a commercial building on Förrlibuckstrasse (the Design Collection and Graphics Collection). The museum also operates the Museum Bellerive, located in a former villa on the shores of Lake Zurich. It contains the museum's collection of Applied Art." Address: "exhibition Strasse 60 Ch-8005 Zurich, Switzerland"
Museum of Design, Zürich is a museum for industrial design, visual communication, architecture, and craft in Zurich, Switzerland. The museum is part of the Department of Cultural Analysis of the Zurich University of the Arts. The Museum of Design shows between five and seven temporary exhibitions annually in the hall and the gallery of the main building. It was established in 1878. The Museum of the Image (MOTI) in Breda, is a museum for visual culture. The museum exhibits the broad and dynamic world of film, design, photography, fashion, visual arts, archi­tecture, science and gaming. MOTI places current graphic design in an historical and cultural context, open to the world and technology. "The National Building Museum, historically known as the Pension Building, in Washington, D.C., United States, is a museum of -architecture, design, engineering, construction, and urban planning-. It was created by an act of Congress in 1980, and is a private non-profit institution; it is adjacent to the National Law Enforcement Officers Memorial and the Judiciary Square Metro station. The museum hosts various temporary exhibits in galleries around the spacious Great Hall. Past exhibitions have highlighted innovation in parking garages; green building and sustainable design; architects, including Eero Saarinen and Marcel Breuer; and tools as art. Exhibitions have included Designing Tomorrow: America's World Fairs of the 1930s; LEGO® Architecture: Towering Ambition, which includes 15 iconic buildings including the Empire State Building and Frank Lloyd Wright's Fallingwater made entirely of LEGO bricks; and Walls Speak: The Narrative Art of Hildreth Meière, a retrospective on American Art Deco artist Hildreth Meiere." Address: "401 F Street Nw Washington, D.c. 20001"
The National Museum of Art, Architecture and Design in Oslo is the national museum of art of Norway. This museum holds, preserves, exhibits, and promotes public knowledge about, Norway's most extensive collections of art, architecture and design. Among its collection is one of the versions of The Scream by Edvard Munch. The National Museum of Modern Art, is an art museum in Kyoto, Japan. It is a national institution devoted to the collection and preservation of artworks and related reference materials of the twentieth century in Japan and other parts of the world. Particular emphasis is placed on artists or artistic movements in Kyoto and the Kansai area. Located in the downtown area of Sakae, the museum was established in 1992 and is housed in the Nadya Park skyscraper. Exhibited are leading designers and artists of conceptualisation, form and function. The pieces range from the Art Deco to the present. Works by Isamu Noguchi and Arne Jacobsen are included, as well as product design icons such as the Mini Cooper. Pavillon de l'Arsenal is located in boulevard Morland, Paris, France. The museum building was built in 1878-1879 for Laurent-Louis Borniche, wood merchant and amateur painter, near the former site of a Celestine monastic community turned arsenal. Its permanent exhibit (800 m²) displays Parisian architecture and shows how the city has evolved. The Philadelphia Museum of Art is among the largest art museums in the United States. It has collections of more than 227,000 objects that include world-class holdings of European and American paintings, prints, drawings, and decorative arts. The Main Building is located at the west end of Philadelphia's Benjamin Franklin Parkway. Address: "4400 Forbes Avenue Pittsburgh, Pa 15213"
The Powerhouse Museum is the major branch of the Museum of Applied Arts and Sciences in Sydney. Although often described as a science museum, the Powerhouse has a diverse collection encompassing all sorts of technology including Decorative arts, Science, Communication, Transport, Costume, Furniture, Media, Computer technology, Space technology and Steam engines. The Powerhouse Museum is located in Sydney, Australia. It has existed in various guises for over 125 years, and is home to some 400,000 artifacts. The museum was intended to be housed in the exhibition buildings known as the Garden Palace, which were destroyed by a fire in September 1882. The Red Dot Design Museum located in Singapore is the first contemporary design museum in Asia. Here, it hosts a collection of more than 1,000 exhibits and every exhibit is a winner of the international red dot design award, one of the world’s leading and largest design competitions. The Röhsska Museum is located in Gothenburg, Sweden. Its construction started in 1910 and completed on 1914. The museum was created through donations from Wilhelm and August Röhss, and opened to the public in 1916. It is a museum focused on design and applied arts. The character of aA design museum is defind by its lowercase 'a', which stands for 'art', 'architecture', 'alive' and the uppercase 'A' which is an unchangeable value , the best grade a person can have. "Almost every human being owns a pair in one or another execution. On the one hand this universal object leads a visitor of SONS through all ethnic cultures and peoples, from the first foot-covered footsteps of humans till today. On the other hand through the world of modern art, highlighted out of a surprising perspective. Thanks to Dirk Vanderschueren, the museum's owner, these two unique collections have found a home in a building of amazing architecture in beautiful surroundings. The whole results in a place of direct confrontation, a happening with international allure." Address: "shoes Or No Shoes? Vandevoordeweg 2 9770 Kruishoutem Belgium"
SONS Museum (Shoes or No Shoes) is a Belgian museum dedicated to contemporary art connected to shoes as the subject. The museum is located at Kruishoutem, Belgium. Thanks to Dirk Vanderschueren, the museum's owner, these two unique collections have found a home in a building of amazing architecture in beautiful surroundings. SONS Museum is situated in Kruishoutem, Belgium. The art collection features pieces by artists such as Baselitz, Jan Fabre, Richard Long, Panamarenko, Michelangelo Pistoletto, Gerhard Richter, Tom Wesselmann, and others. The Stedelijk was founded in 1874, it was then housed in the Rijksmuseum in Amsterdam. The museum first began to collect art in 1909. P.A. Regnault donated a number of pieces by renowned artists such as Georges Braque, Marc Chagall, Wassily Kandinsky and Pablo Picasso. Today, the Stedelijk has one of the world's finest collections of art and design objects. Until the middle of 1880s the museum collection was replenished rather spontaneously because stable principles and trends in compiling it had not been outlined. This spontaneity and sometimes fortuity in arranging exhibitions could be easily explained by numerous gifts donated by private persons somehow connected with the school itself or with its organizer, being private collection owners, businessmen, factory owners and nobility. Here could be mentioned such well known Russians as prince S.S.Gagarin, prince N. S.Trubetskoj, count A.V. Bobrinsky, prince A.B.Lobanov-Rostovsky, a well-known official, the Circuit Court Chairman V.A.Rannenkampf, a well-known critic V.V.Stasov, an artist and an owner of an art collection M.P.Botkin, a prominent manufacturer l.F.Gromov etc. The Stieglitz Museum of Decorative and Applied Arts ranks among the most significant museums in Saint Petersburg, Russia. Out of some 30,000 items stored in the museum at the time of the Russian Revolution of 1917, the Communist authorities handed over the most precious exhibits to the Hermitage Museum. The Tel Aviv Museum of Art is one of Israel's leading artistic and cultural institutions. It is located in Tel Aviv, Israel, was established in 1932 in a building that was the home of Tel Aviv's first mayor. The museum houses a comprehensive collection of classical and contemporary art, especially Israeli art, a sculpture garden and a youth wing. Explores the Bauhaus Archive in Berlin for designing and presenting the history and impact of the Bauhaus (1919-1933), the most important school of architecture, design and art in the 20th Century. Address: "bauhaus Archive / Museum Of Design Klingelhöferstraße 14 D - 10785 Berlin"
La Triennale di Milano is a design museum and events venue in Milan, Italy, located inside the Palace of Art building, part of Parco Sempione, the park grounds adjacent to Castello Sforzesco. It hosts exhibitions and events which highlight contemporary Italian design, urban planning, architecture, music, and media arts, emphasizing the relationship between art and industry. The Triennale di Milano is a design museum and events venue in Milan, Italy, located inside the Palace of Art building, part of Parco Sempione, the park grounds adjacent to Castello Sforzesco. It hosts exhibitions and events which highlight contemporary Italian design, urban planning, architecture, music, and media arts, emphasizing the relationship between art and industry. The Design Museum is known for its changing exhibitions of national and international design-related material, including architecture, costume, graphic design, textiles, new media, and popular culture that reflect the multifaceted and global aspects of design. Dedicated to furthering our understanding of design and the contributions design makes to shaping our experiences, environment and culture, the museum also serves as a laboratory for experimental design installation, interpretation and practice. Address: "v&a South Kensington Cromwell Road London Sw7 2Rl Tel. +44 (0)20 7942 2000"
Victoria and Albert Museum was established on 1852. It is located in London, United Kingdom. The museum is the largest museum of decorative arts and design. It has a huge collection of 4.6 million objects. It is visited by over 2 million people every year. Its present direwctor is Martin Roth. The Vitra Design Museum numbers among the world’s leading museums of design. It is dedicated to the research and presentation of design, past and present, and examines design’s relationship to architecture, art and everyday culture. In the main museum building by Frank Gehry, the museum annually mounts two major temporary exhibitions. Smaller parallel shows are presented in the Vitra Design Museum Gallery, a neighbouring exhibition space. Vitra specialises in presenting furniture and interior design exhibitions, however, it also claims to show work from other disciplines. It costs €8 (without concessions) for entry and because it only has temporary exhibitions, it always has something fresh and different for regular visitors. Something that never changes is the unusual, cutting-edge structure in which the museum is housed, built by famous architect, Frank Gehry. That alone is a vision to be seen, both inside and outside. The Vitra Design Museum is an internationally renowned, privately owned museum for design in Weil am Rhein, Germany. It was founded by Rolf Fehlbaum, who is also its CEO. The museum's collection, focusing on furniture and interior design, is centered around the bequest of U.S. designers Charles and Ray Eames. A major retrospective exhibition drawn from its own collection and borrowed exhibits. • Extra resources and data might be available only to registered members. Register here.